24 hour Local Emergency Locksmith. Locksmith Courses Run Every Week Starting on a Monday. The 1 Day UPVC Advanced Mechanisms Course Runs Every Thursday. UKLA Locksmiths Training Course: Courses start Monday’s on a weekly basis at 08:30 hours. The course runs for three days from 08:30 to 16:30 hours each day. 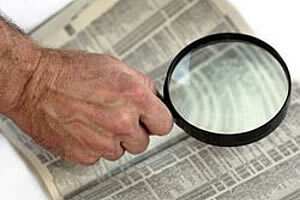 However the tutors will stay longer until they are satisfied that the student understands what has been covered. To apply to go on this course click here Or Call us on 020 8590 7111 To find out more about the 2 or 3 day Locksmith Course click here. SPECIAL OFFERS – We have temporarily reduced the cost of our 3 day Locksmiths training courses. THE 2 DAY COURSE IS NOW ONLY £595.00 (INCL VAT) THE 3 DAY COURSE REDUCED FROM £895.00 (INCL VAT) TO £695 (INCL VAT) FOR A LIMITED PERIOD ONLY. THE EXTRA 1 DAY ADVANCED MECHANISMS COURSE WHICH CAN BE ADDED TO THE 3 DAY COURSE IS AN EXTRA £300 (INCL VAT) OR £250 FOR UKLA MEMBERS. SO THE COMPLETE 4 DAY PACKAGE IS £995 (INC VAT). Full Accreditation and Certification. The UKLA offer complete 2, 3 or 4 day Locksmith training courses which have 1-2-1 tuition from our experienced tutors. Full accreditation and certification from the UKLA once the Locksmith training course is complete. Get started in a new and lucrative career as a Locksmith by taking one of our Locksmith training courses. By the end of the course you will be opening domestic and commercial locks and you will be changing locks and fitting them too as this is the most common work for a locksmith. No Written Work! There is NO written work whatsoever. It is completely hands on. You can take notes if you wish but course notes are supplied upon completion in your closing pack. Once the course is complete you will have access to our 24/7 help lines and you will be able to start as a locksmith immediately. 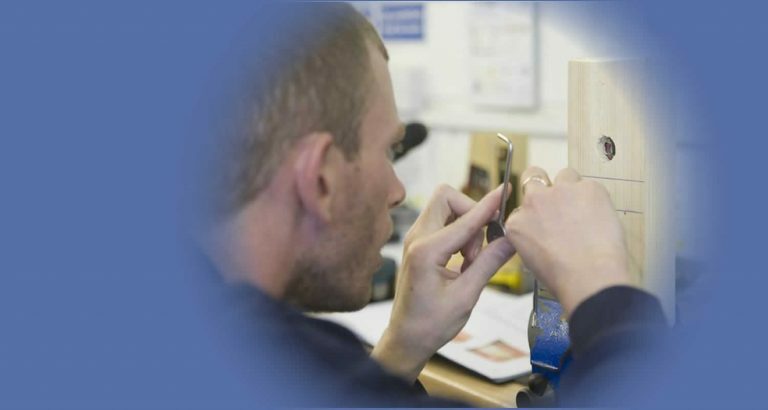 Set Up Your Own Business The Locksmith training courses will be extremely beneficial for anyone setting up as a mobile Locksmith, setting up in business, trying to get into a Locksmith company or just interested in the subject of Locksmithing and would like to know more. Fully Hands On Training The courses are fully hands on with all documents, manuals and helplines supplied in the course packs. Visit our courses page for more information about our Locksmith training courses details. Already a Qualified Locksmith? 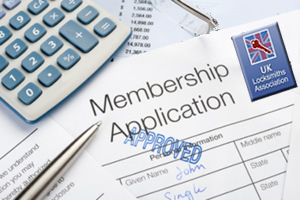 If you are already a qualified Locksmith then join the UKLA Locksmith Association with numerous member benefits that can help promote your business and get you in front of many more customers. We are also on call to help you with your business with a 24hr a day help line. Ade Jones - Completed a 4 day course at the end of feb and I strongly recommend doing this. It gave me the knowledge to go out and set up my own locksmiths business. The guys have a wealth of knowledge and really do take their time to explain and go through anything you are not sure of. Ps the sandwiches are are a real winner. Excellent organisation and the locksmith course was very well done. Training was excellent at a good pace. Very knowledgeable instructors. Great facilities. Fantastic course, years of knowledge imparted, set me up for my future career, can’t recommend enough! Just completed my training and enjoyed every minute. 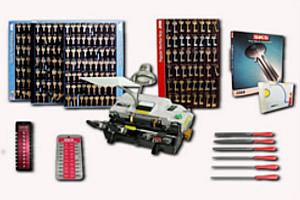 Very knowledgeable instructors who take you through every aspect of locksmithing. I just wanted thank Adam, Ben and Chris for a fantastic course. Having made the decision to leave a career of 30 years in the motor industry I decided that I needed to be self employed and chose Locksmithing as one of my career choices. Highly recommend and very enjoyable course! Great fun. Learnt loads! 5 stars. Good course and excellent instructors. I really recommend this course . Great course, totally practical and loads learnt. Adam and the team are patient and happy to answer all questions. Recommended if you’re looking for a hands-on locksmith course. Great course, great teachers and great workshop. Had my doubts that I wouldn’t be able to go straight out on a job after the course but I can definitely say I would be more than confident enough now to tackle most jobs. well planned course, excellent teachers, a lot learned over the 3 days, thanks guys!